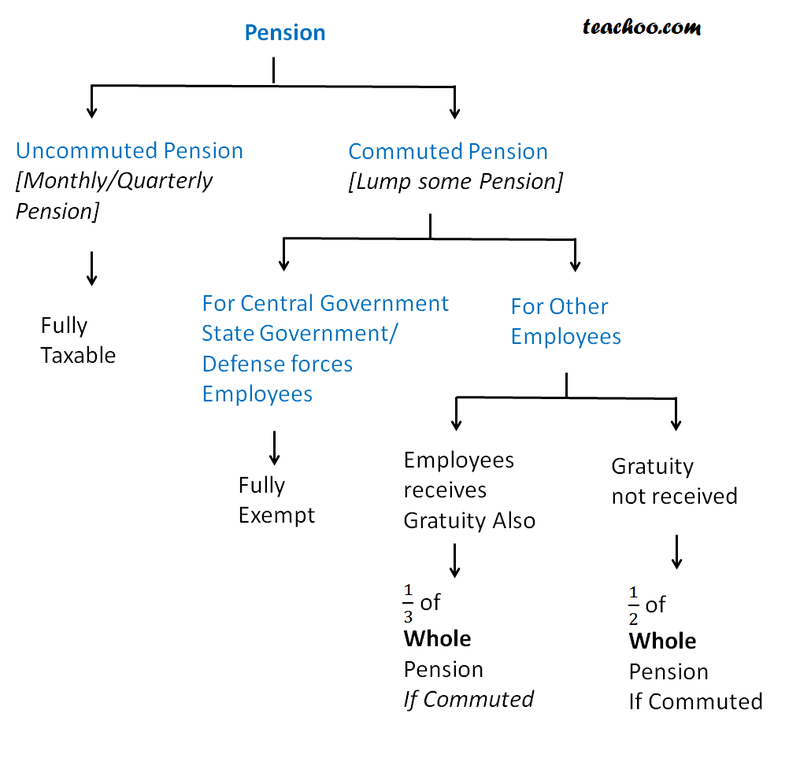 Pension is the amount received after retirement by employee. Normally,it is received monthly or quarterly. However,sometimes,employee says that he doesnot want monthly pension .He instead asks for lumpsome payment. It refers to pension received periodically. (Monthly ,Quarterly or Annually) It means lump sum amounttaken by commuting the whole or partof the pension.